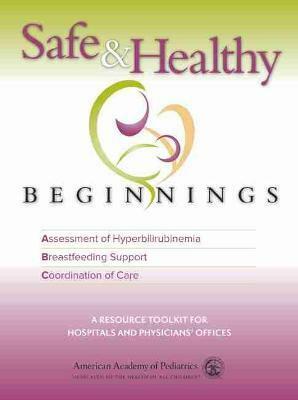 Safe & Healthy Beginnings: A Resource Toolkit for Hospitals and Physicians' Offices is a resource to assist clinicians in implementing the ABCs of improving care for newborns: Assessment of the newborn's risk for severe hyperbilirubinemia, Breastfeeding support, and Coordination of care between the newborn nursery and primary care practice. The toolkit and its contents are designed for pediatric health care professionals to use in the office and hospital newborn nurseries. The tools were tested by 22 teams of pediatric health care professionals (12 primary care pediatric practices and 10 newborn nurseries) using quality improvement methods.Some of the tools included are: Assessing Your Systems for Newborn Care - Assessment of Risk for Severe Hyperbilirubinemia, Breastfeeding Support, and Coordination of Care Tools; Safe and Healthy Beginnings Newborn Nursery Inventory; Safe and Healthy Beginnings Newborn Discharge - A Readiness Checklist; Newborn Nursery Documentation Form; Safe and Healthy Beginnings Primary Care Practice Inventory; and, Safe and Healthy Beginnings First Newborn Visit Checklist.The tools for parents include Bright Futures Anticipatory Guidance Handout and Caring for Your Baby. Assessment of Risk for Severe Hyperbilirubinemia: Tools for Clinicians include: Is the Baby at Risk for Severe Hyperbilirubinemia? Predischarge Assessment of the Risk for Severe Hyperbilirubinemia in Newborns 35 or More Weeks of Gestation; Assessment of Risk for Severe Hyperbilirubinemia Pocket Card; and, Phototherapy Guidelines Pocket Card.Hyperbilirubinemia Tools for Parents includes Questions and Answers: Jaundice and Your Newborn.Breastfeeding Tools for Clinicians include: Clinical Care Path for Breastfeeding; Sample Hospital Breastfeeding Policy and References; and, Infant Breastfeeding Assessment Tool (IBFAT).Breastfeeding Tools for Parents include: Breastfeeding Record for Baby's First Week (English and Spanish); and Breastfeeding Your Baby - Answers to Common Questions.